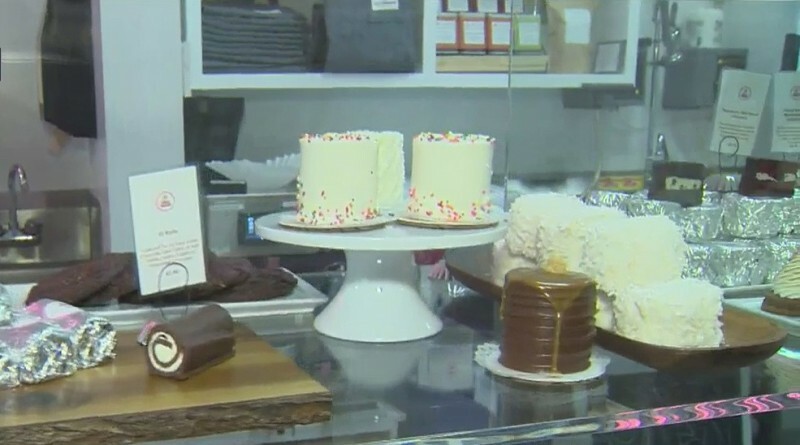 LOS ANGELES (CBSLA.com) — Delicious treats that were once only available for purchase online will soon be sold from a Fairfax District storefront. After years of location scouting, Cake Monkey Bakery owners Elizabeth Belkind and Lisa Olin have set up shop at 7807 Beverly Boulevard. Belkind and Olin originally opened their sweets shop eight years ago. Up until now, the duo baked pies, mini layer cakes, cookies, cakewiches, El Rollos, Magic Bars, breakfast pastries and other delicious treats from inside a bakery kitchen in North Hollywood. Cake Monkey Bakery — which officially opens to the public on Nov. 11 — will operate from 7 a.m. to 8 p.m. on weekdays; 8 a.m. to 7 p.m. on Saturdays; and 8 a.m. to 6 p.m. on Sundays.